So you're into trains, are you? Us too! We love trains. Passenger trains, coal, battery, maglev, monorail, steam, real, model, toy... doesn't matter what the type, we're totally on board (get it? On board?). And since we are fanboys and fangirls of the train variety, we feel the need to inform you of your gross misconduct. We are nearly offended that you, as a train fan, don't own a conductor hat. How can you possibly send new model trains on maiden voyages without a conductor's hat? How can you ask people to board the rail, and demand their tickets without one?! It's practically heresy. But, fear not. We have just the right Conductor Hat for you. 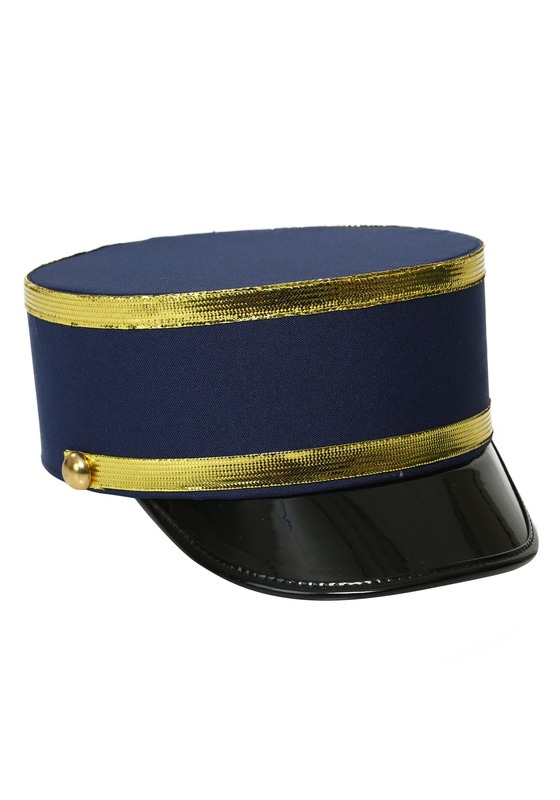 It's rigid in blue with a gold trim and patent leather brim. It'll be perfect for all your conducting needs. With this on? Everyone will listen when you scream "All aboard!"